Are you a woman who has made great advances in your career but not in your romantic relationships? Do you flip between the same types of men, never finding lasting love? Do you worry you can't trust your judgment in men, fear you won't recover from breakups or feel that you're "done" with men? As a professional woman, it can be confusing and frustrating to be smart about success but not about love. 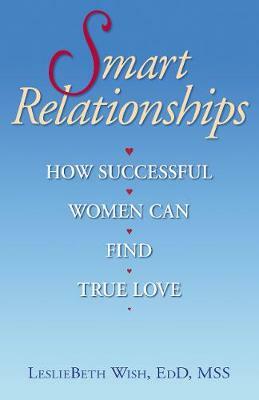 Smart Relationships gives women who have broken through the glass ceiling but not the love ceiling pragmatic tools and proven strategies to find satisfaction in romance. Dr. LeslieBeth Wish, a psychologist and licensed social worker with over thirty-five years of experience, teaches women the structure of intimate relationships and how to break free of their past negative cycles. She reveals her proactive Brave and Best Self approach that gives women the tools to examine their own behavior, identify how it affects their relationships and make the changes necessary to create a happy, fulfilling and lasting relationship.